Julie Solomon is Vice President, Deputy General Counsel, M&A and Contracts for Pitney Bowes Inc., a software, hardware and services company that integrates physical and digital communication channels. At Pitney Bowes, she manages legal support for all negotiated M&A transactions in North and South America and supports negotiated transactions elsewhere globally. Ms. Solomon also oversees Pitney Bowes’ 24 member enterprise-wide North and Latin American Contracts group. In addition, prior to its divestiture in 2013, for 5 years, Mrs. Solomon provided counsel to, and served on the Senior Leadership Team of, Pitney Bowes Management Services, Inc., a PBI subsidiary with global operations and approx. $900+ million in revenues. Prior to joining PBI, Ms. Solomon was Senior Counsel at Nuance Communications, Inc. (f/k/a Dictaphone Corporation), a leading provider of dictation, transcription, speech recognition and natural language processing systems, where she provided general legal support, which included negotiating complex software license agreements, managing the Company’s litigation, real estate, patent and trademark matters and overseeing the company’s contracts group. 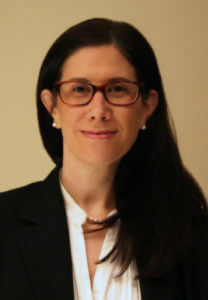 Prior to joining Dictaphone, from 1997 – 2005, Ms. Solomon was an associate in the New York Global Corporate Group of Milbank, Tweed, Hadley & McCloy where she engaged in broad-based domestic and international M&A practice, focusing on corporate governance, stock and asset based acquisitions, divestitures, mergers, tender offers, proxy contests & debtor/non-debtor reorganizations. She received a Bachelor of Arts from the University of Maryland and a J.D. from Rutgers University School of Law. Her favorite children’ book is Eloise by Kay Thompson.